A&C Hamilton`s Tyros5 is different. We have 2 Yamaha trained Tyros5 experts in 1 store to give you the best service. Ensemble Voice is an amazing new feature that reproduces true divisi playing in a section. In the past, a Voice like Brass Quartet would use a sample of four players, which sounded great. However, if you played two notes youd get eight players, which could sound great but isnt the most realistic. Tyros5 Ensemble Voices always get the same number of players because Tyros5 has the musical knowledge of a professional music arranger. Play two notes with a Brass Quartet Ensemble Voice, and Tyros5 will send the trumpets to the top notes and the trombones to the lower notes; its an incredibly realistic sound. The Tyros5 features a metallic silver body (titanium finish) that looks as if it were chiseled out of metal, giving it an exclusive, high-tech feel. 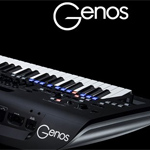 Weve also given attention to the button operations and knob positions, so that people who are already familiar with Tyros can operate the new model freely and without worries. Not only does the Tyros5 have new and high-quality effect types, including Real Distortion and Real Reverb, it provides beautifully designed panel displays, with highly intuitive controls - just like actual effect devices. These also include VCM (Virtual Circuit Modeling) effects that use the same technology as the professional-level processing on Yamahas high-end mixers. A powerful Vocal Cancel function effectively cancels or suppresses signals like vocals and solos that play a central role in an audio file, allowing you to make your own "minus one" track and sing "karaoke" style with just instrumental backing. Adding forty new percussion-based Styles to the Tyros5&apos;s impressive backing and accompaniment capabilities, Audio Styles add natural feel, ambience, and warmth to drum and percussion parts, offering greater expressive potential. 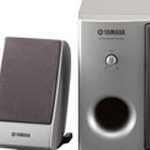 Audio Styles also benefit from Yamahas Time Stretch Technology, which allows the audio to follow your tempo changes without changing pitch, so everything stays in perfect sync. 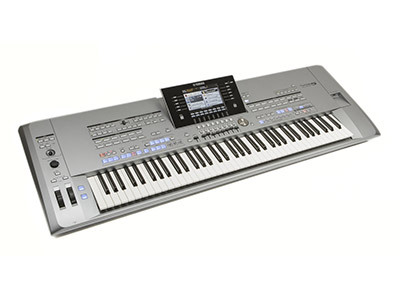 The Tyros5 is capable of playing back and recording audio files (including performances using Audio Styles), and also possesses a range of audio manipulation features you can use to create "karaoke" style "minus one" tracks in the key and tempo of your choice. Real Distortion effects are based on digital models of classic guitar amplifiers from the 1960s and 1970s. There are also digital models of legendary analog guitar effect pedals. The result meticulously reproduces the frequencies and dynamics of real distortion guitar sounds. With the new, intuitive graphical interface, youll feel like youre controlling the original amplifier! With Tyros5 you can create up to three split points across the keyboard. Offering the flexibility to, for example, assign a different Voice to each zone. Tyros5&apos;s accompaniment styles can now be controlled by chords played in the right hand split zones, allowing you to play bass parts manually with your left hand. Lock the panel to prevent any settings from being changed when you are away from the instrumen-the perfect function for the live performer. Owner's Manual, Online Member Product Registration, AC Power Cord, Music Rest, two Music Rest Brackets, USB Wireless LAN Adaptor * May not be included depending on your particular area. Please check with your Yamaha dealer.